It’s a well-known fact that Hearthstone’s popularity as an e-sport even took Blizzard by surprise: no wonder they are still taking their time to adjust to the fact that their game has attracted more than just the initially expected casual crowd. There are many, many features they could – and should – add to the game to make life easier for those who are taking it more seriously: here’s a list of the most important ones! This goes without saying, really. The tournament scene in hearthstone – which is still in its infancy due to a lack of supporting features, despite the serious amounts of money being thrown at it – and the streams of said competitions are really hurting because of the lack of a spectator mode. They usually have to resort to what are, frankly, quite cranky methods: overlapping multiple streams from the players into one, cutting off parts of the screen and showcasing an annoying delay between the two sides in the process. Casters always struggle with secrets, for instance, as they are simply always off the screen for one of the players – not to mention the fact that they cannot manually check the amount of cards left in the decks (or anything, for that matter). It would really increase the quality of these events if the broadcasters had a spectator client at hand – depending on the settings (and mutual consent from the players), you’d be able to see both players’ hands at once, having control of the cursor as well… Not to mention the possibility of annotating/showcasing some possible plays, just like chess casters have the opportunity to play out certain variations or display various options with arrows on the board – the latter would also help to eliminate some of those annoying situations where the casters just aren’t sure if the player has lethal or not. If Blizzard didn’t neuter the communal aspect of the game with the very limited chat (which is, don’t get me wrong, something I agree with), it could be argued that is allows friends to spectate each other’s games – it could also help with coaching. Apparently, more than 9 possible decks at once confuse the poor casual player – I’m not buying that for a second. No matter how casually you play the game, you always have the option to just leave those empty – and if there are a few players who possess the mental capacities of a goldfish, surely you shouldn’t sacrifice the convenience of almost everyone else for them? Do we really want this to be a thing? There simply cannot be any computational or other limitations that force only 9 deckslots – it’s a design decision, and a baffling one at that. “We’re just worried that players who have 18, 30 deck slots can get overwhelmed and forget which one’s which. It gets a lot more complicated quickly” – they say. Thing is, you have that fancy little option, you know, to name your deck? I reckon that would solve the problems of even the least qualified hearthstone player – but then again, I am not a goldfish. It is also difficult to understand why we need to use external programs to track our stats in the game. The only thing I can find in my Quest Log are my total wins in Constructed and Arena – completely useless statistics, except for the very few of us who are into that sort of nerd cred. Sure, it’s not a fair accusation: you can also see your current ladder rank and your best Arena Key to date! Spectacular! As far as I’m aware, there are multiple programs of this kind: they use image recognition to collect statistics from your game. Not only does it display your overall winrate (which is already more than what Blizzard is kind enough to give us), you can get a detailed breakdown. You want to know more about your winrate against Warlock while playing Miracle Rogue or how often you ran into Hunter on the ladder today? Fire away! Needless to say, having these options integrated into a game would make for a better experience. Most of you are probably familiar with the formats of the currently popular hearthstone tournaments – while they definitely have their issues, they are a nice addition to the scene. 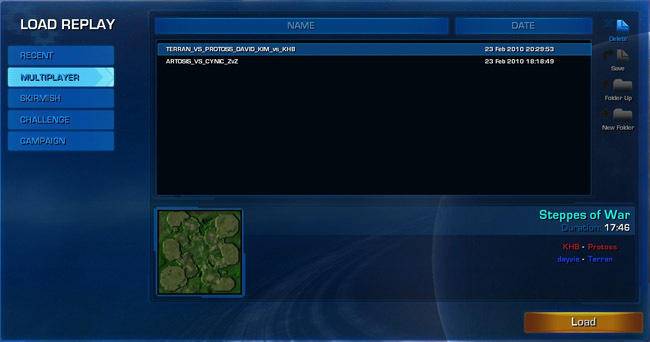 Widely used options like banning certain decks, having a “best of x games” setup instead of just the single game and multiple matches’ scores being tracked over the course of a round-robin group would all be easier to organize if there was an interface for it in the game. I suspect there has to be an overlap between the audience of hearthstone and those who enjoy spending their time playing poker – they would be familiar with the concept of “SnG” or “Sit and Go”. 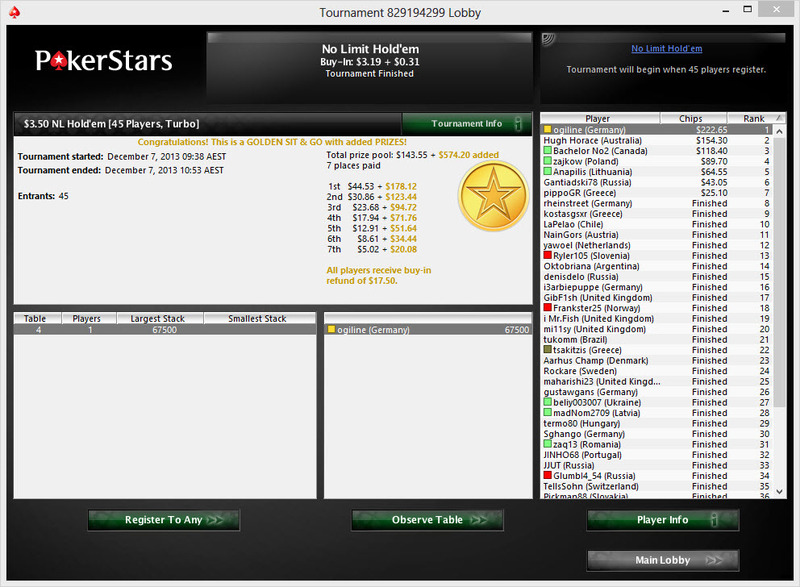 The way these tournaments are organized are very simple: it begins the moment you have enough players to start with – usually with just enough to fill one table. Generally, 10/11th of the entry fee gets redistributed to the winners and 1/11th goes to the organizers (which is why these fees are usually formatted like 10+1$). The winner gets 50% of the prize pool, second gets 30%, third gets 20% – as a standard. I could easily imagine something similar to this in Hearthstone, as a nice alternative to Constructed and Arena. Pay 110 gold as an entry fee and you play against 7 other opponents in a knockout format – to the finalists and the winner of the “bronze match” go the spoils! That, hopefully with the ability to save games alongside it. Again, look at other successful competitive games: it really helps you grow as a player if you can look through your decisions again and see where you’ve gone wrong after a close defeat – and many of them give you the option to do so. 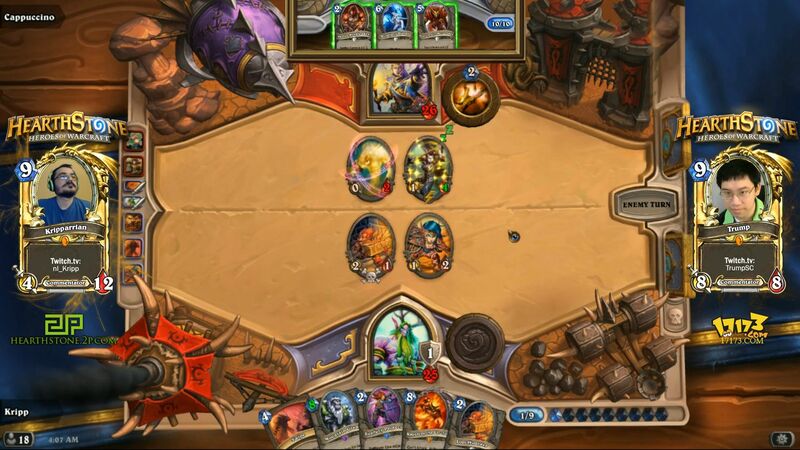 Hearthstone, sadly, doesn’t – or at least not yet. I don’t think Blizzard needs enlightenment on the benefits of a feature like this, considering how this feature is a staple of Starcraft. Wouldn’t be a brand new thing from Blizzard. It would also provide some benefits for tournament casters, if the system was combined with the spectator feature somehow, allowing them to show both hands with mutual consent from the players. Not to mention the easier production of YouTube highlights – which, needless to say, have a big part in the game’s popularity. Come on, Blizzard, give us some goodies! The recently released stats show that a staggering 75% of players (how many of them are active players is a mystery though) don’t make it past Rank 15 – and I would argue that it is partly due to the lack of incentive to climb ladder beyond Rank 20 and getting the card back. Same goes on the highest summits: making it to Legend is the big goal, but then what? If you were not in contention for a top 16 spot – or you were just going for the card back – is there a point in continuing the climb? Throwing out a few card packs and some gold or dust every month based on your ladder performance would probably not break Blizzard’s piggy bank but would probably make a decent chunk of the player base more interested in fighting for higher spots. I would recommend some sort of a reward for making it to rank 15, 10 and 5 each season – it could even be purely cosmetic, as pointless as that is. It always baffles me why game developers go out of their way to hide their ranking mechanics behind their product – because it sure as hell didn’t cause any issues to chess players that they know how strong their opponent is! In case you are not familiar with the ELO rating system – widely considered to be the grandfather of them all –, it is “a method for calculating the relative skill levels of players in competitor-versus-competitor games such as chess. It is named after its creator Arpad Elo, a Hungarian-born American physics professor”, if Wikipedia is to be believed. The main idea behind it is that the higher-rated player is expected to beat the lower-rated opponent more often than not (what a shocker), and is therefore going to get less points for winning that if he or she were up against an evenly matched adversary. Of course, the lower-rated player also loses less points for losing (and would gain extra for winning) against a higher rated opponent. It’s a simple and effective, self-correcting system, and while many variatons of it exist (especially nowadays with the massive increase of computational power), it still provides the basis of many rating systems. Would this really be a problem for Hearthstone? Why am I telling you all this? Because there is absolutely no reason to hide the exact numbers behind these systems! While there is no real need to implement something like this on the ladder (as I appreciate the system’s simplistic nature), it would be very helpful in Legend to see an exact score and a rating projection for each match, instead of a guessing game as to how far I may fall down the list if I lose – or how high I’ll get after a win. You can obfuscate this system but I honestly cannot tell why you would. As many of the examples listed above, this is another suggestion that is easy to implement (as it is based on an already existing methodology!) and would make things simpler for the players. Let us hope that there are features in the works like this or at least very similar to the ones I’ve just recommended! What other features would you like to see in Hearthstone? Let us know in the comments!